Sky gets her walking papers. Sally&apos;s office is in rebuild mode. Shirley is excited that Thomas came through, but Sally reminds her that he&apos;s not coming back. Sally reveals she has a new, near, and dear business partner. At a staff meeting, Liam tells Alison he wants her to send Sky to Bill since they don&apos;t need her anymore. Justin is at Bill&apos;s talking about the staff meeting. Bill trusts Justin to tell him what the meeting&apos;s about. He tells Justin that Brooke left him because he told her the truth. Justin assures him things will work out for him like they always do. He admits he would have chosen Wyatt to run Spencer over Liam. Steffy goes to see Brooke and asks her not to leave Bill. Brooke reminds her he committed a major crime. 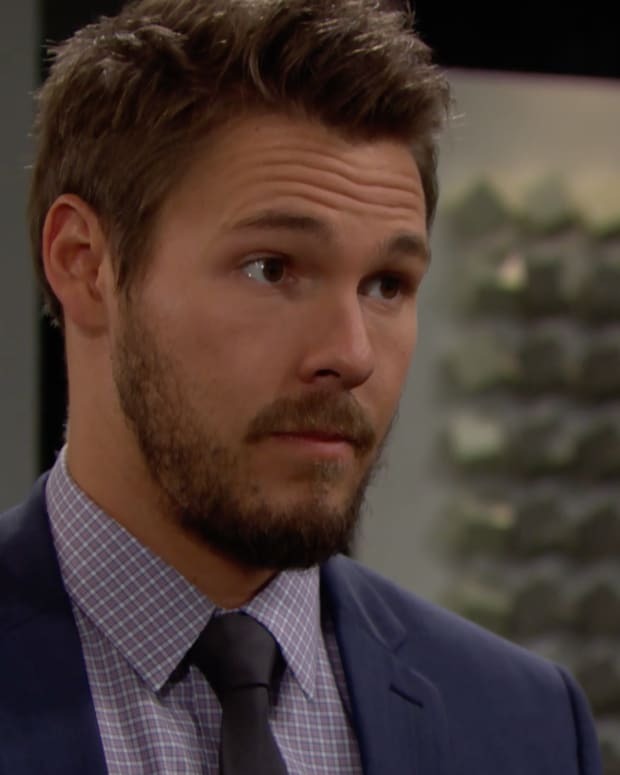 Steffy counters it&apos;s not worth breaking up over. She says that Bill&apos;s lost a lot and he sees Liam as a blackmailer. Brooke wonders why Steffy&apos;s so invested in her relationship and not gunning for a Bridge reunion. Wyatt whines that he needs an appointment to see big shot Liam. Katie tells him Liam hasn&apos;t changed, but he doesn&apos;t believe her. He doesn&apos;t want to take orders from him. Katie tells him there&apos;s a reason for it and they will figure it out. Sally overhears Liam giving away all sorts of employee benefits. He wants his workers to feel like they are family. After they leave, she walks in with a gift. She offers him her first sketch since the fire. Steffy reminds Brooke that she knew what she was getting into with Bill. Brooke tells her that crime wasn&apos;t part of the deal. Steffy tells her that she&apos;s trying to prevent a war between Bill and Liam. Wyatt walks into Liam&apos;s office and wonders what he and Sally are up to. Liam tells him it&apos;s none of his business. Sally covers that she is there to thank him for a story they wrote before the fire. He warns Liam that he will find out what&apos;s going on. When he leaves, Sally thanks him again. Steffy walks in whilst she&apos;s giving Liam a squeeze.